It is the end of the line. No more! No more I say ! Phew. Free at last! 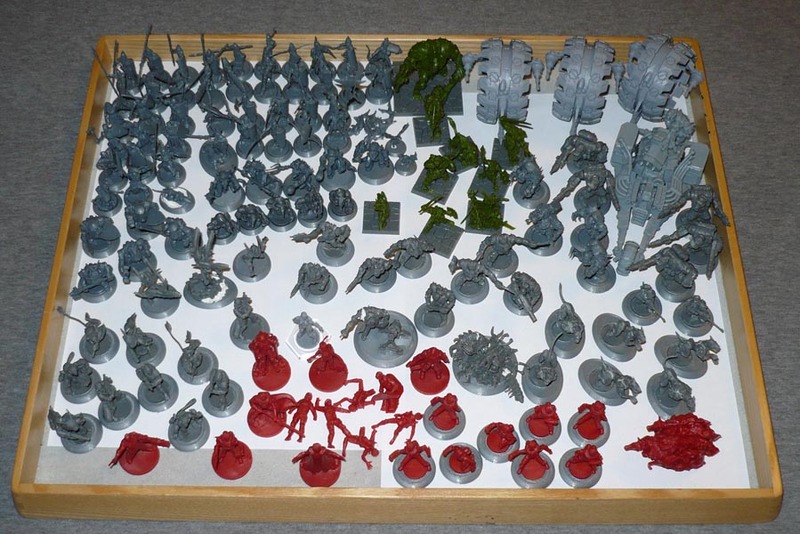 The Bobbybox: 126 random older dead stock Mantic minis plus 13 casualties, small animals and such. I must admit, getting these done was a bit of a slog in places, and I really needed the longish break painting the LAF contest entries over the summer. Some of these minis will be added to existing armies, some might very well form the start of new armies. 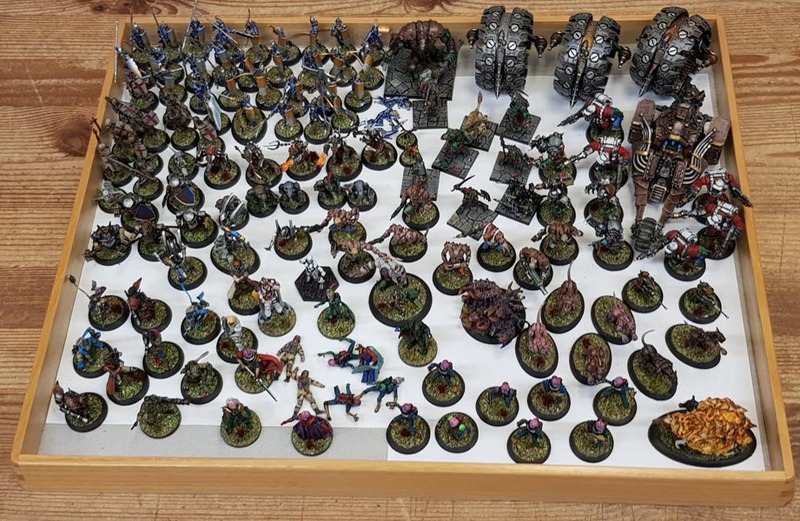 I suspect most will end up gathering dust upon the shelves of oblivion and get thrown in the bin as soon as I am gone…a fate I fear they will share with most of my painted miniatures. What am I doing with my time and money? The horror of it all! Better to crawl back into my little fantasyland where little plastic armymen have some value. They do! They dooooo! Next up in the painting agenda: ANYTHING NOT BY MANTIC! Impressive output, and they look great! I am aiming to be entombed with my armies – though they contain enough lead to contaminate the land for generations thereafter. Still, quite fitting for an evil overlord methinks.